It's not you ... 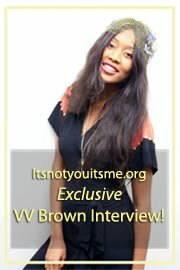 It's me: ItsNotYouItsMe Goes DISCO with Giorgio's! We are proud to announce that in support of Orlove Entertainment and L'Affaire Musicale, ItsNotYouItsMe.org will be covering the next installment of Bryan Rabin and Adam Bravin Present : Giorgio's at the Globe Theatre in Downtown Los Angeles on April 27th! We had the privilege of attending last years massive event which celebrated the birthday of Disco pioneer and club namesake, Giorgio Moroder and it was one amazing night! 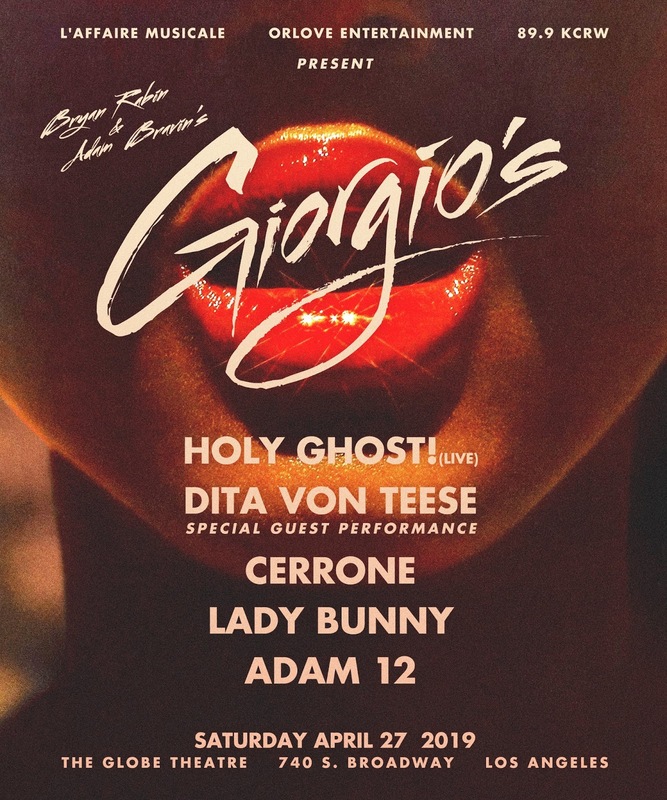 Now this installment of Giorgio's brings to the stage new and old nightlife legends as American synthpop duo Holy Ghost! 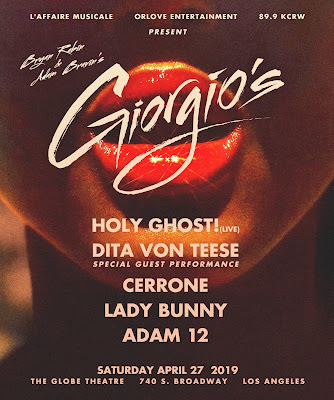 performs live, French disco drummer, composer & record producer CERRONE graces us with a rare West Coast live DJ set and performers Dita Von Teese and Lady Bunny strut their enigmatic self's! As the nightlife connoisseurs that we are this is a event that should not be missed! 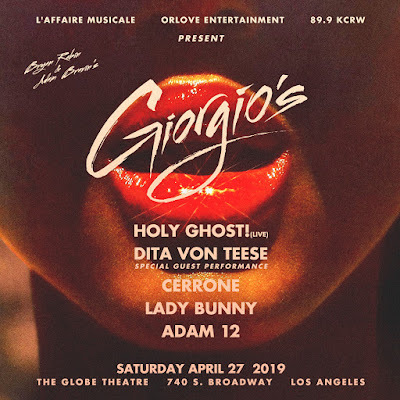 "L'Affaire Musicale, Orlove Entertainment & KCRW cordially invite you to the delectable world of Bryan Rabin and Adam Bravin Present : Giorgio's. Come witness Holy Ghost! 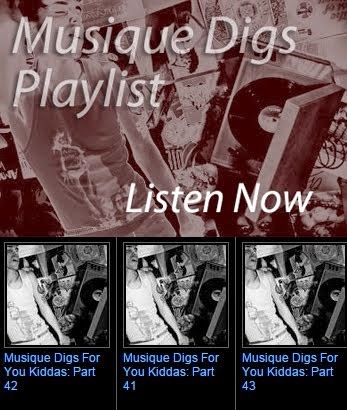 (Live), a very special guest performance from the one and only, Dita Von Teese, plus sets from Disco legend CERRONE, Drag Icon and Wigstock founder LADY BUNNY FOREVER!, and Giorgio’s very own Adam Bravin (She Wants Revenge), and get ready to be transported to a magical place where there is no time, no tomorrow, just the hedonistic moment you’re lost in."